Wedding gown with double-camisole straps and a short train. Ivory lace with pearl beading. 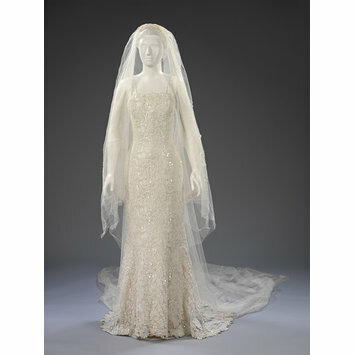 This wedding dress, veil and shoes were worn by the actress Estelle Skornik as 'Nicole' in the Renault television advertisement first screened 29 May 1998. 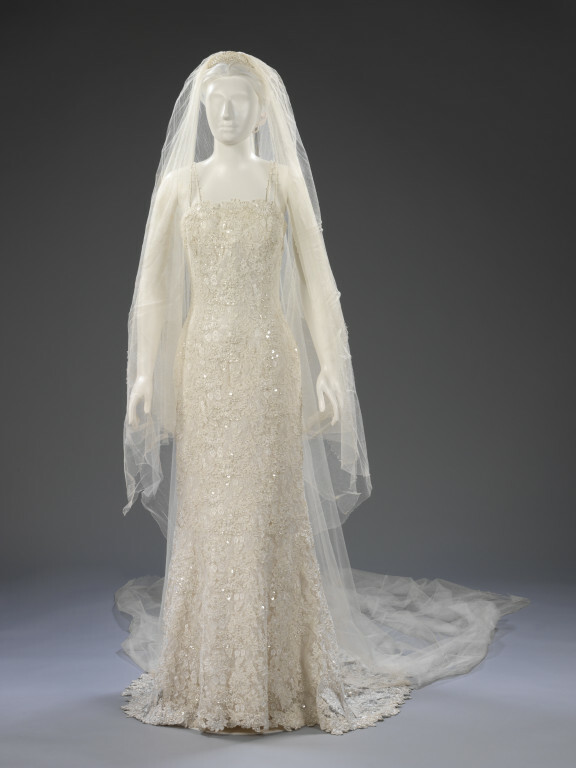 During the 1990s evening styles influenced bridal wear. Wedding dresses with bare shoulders, plunging bodices and low backs became acceptable for church weddings. Deborah Milner designed this dress for the finale of a series of popular television advertisements for Renault's Clio car. An estimated 23 million viewers saw the ad.